Michael Jordan won six NBA championships, five MVP awards, and has an immensely popular line of signature sneakers. Of course, if you're reading this story, you're probably familiar with the tidbits of be-like-Mike folklore and his exalted list of personal achievements. Thanks, smarty pants. You've made this list much harder to make. You may also know that MJ turns 50 years old on Sunday. That's right. The man who will forever be etched in our memories dunking from the free-throw line, is six months from developing cataracts and getting the senior rate at Applebee's. 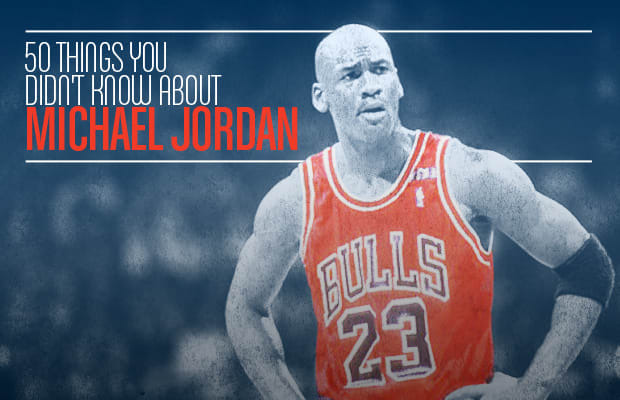 And to celebrate the greatest basketball player of all time's first half century on this Earth, we offer 50 Things You Didn't Know About Michael Jordan.